HAPPY MONDAY my sweet friends & welcome to another "Scrapping the little things". Today my team & myself are following this AWESOME sketch made by my design team member Miss Liz! I decided to make another page in my smash book since I am getting behind on it! 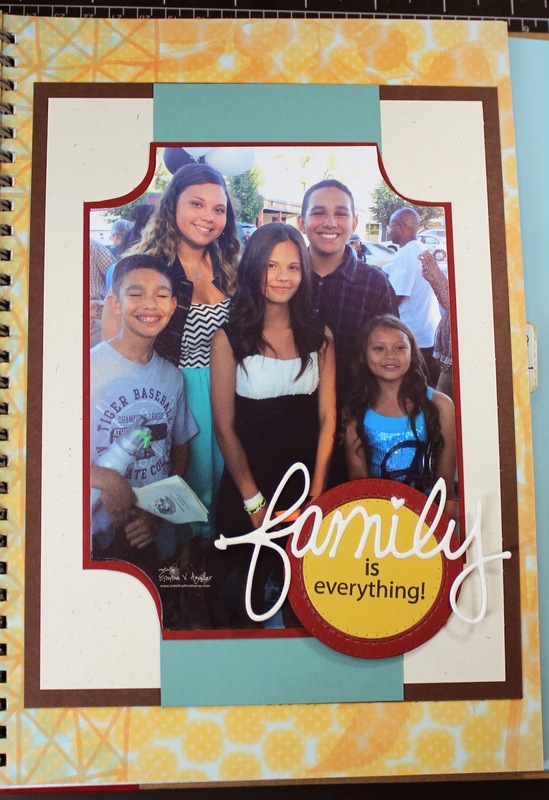 I used a picture of my 3 nieces w/my boys! I LOVE this pic of all 5 of them! ;) Here is the picture in it's entirety! Of course, as you can see, my Anthony just had to have his eyes half way opened or he may have blinked!!! lol…. it is REALLY HARD to take pics of my family w/o ONE PERSON blinking OR has their eyes closed! ;) You can see in the video below exactly how I put this together from beginning to end! Weren't all of these pages BEAUTIFUL? If you feel like doing some scrapping yourself, feel free to use the sketch we used! ALSO, I just want to give you ALL an update on the orders from the new release! EVERYTHING as of 8:30pm last night HAS GONE OUT!!! Start stalking your mail peeps this week because your HAPPY MAIL is on it's way to you!!! I am SOO LOOKING forward to seeing what you ALL make w/this new release! P.S. Don't forget to join in on our FUN challenge going on HERE! Good Monday Morning Miss Emma and girl lots of WOOT WOOT WOOTS coming your way 1st off to you and your fabulous team for getting all the orders out WOW!! and for your GIANTS since my Tigers didn't make it because of you I've been right there rootin' for your Giants....it is exciting!! I just love Scrapping the Little Things Monday and I totally love your LO gosh it was so much fun watching you create it too. Thanks for all the fab ideas you came up with and I had to laugh when you were mention your little corner cut....looked perfect to me .....anywho you really are such a talented scrapper so thanks for your neat and creative ideas......YOU, YOUR FAMILY & YOUR DT ROCK!!!! Have a Magnificent Monday!! Sweet smash book page, Emma! Great pic of the kiddos! Awesome smash book page Emma! Love the fun picture~cute sketch and fun projects by the DT! LOVE your smash book page. LOVE that picture! Thanks Miss Emma for helping me with my order boo boo. GUESS WHAT my order came in today's mail already!!! Awe what a beautiful family! Fantastic page! Emma ~ Oh I LOVE your smash page!! Just ADORE the picture first off but the fun little details! 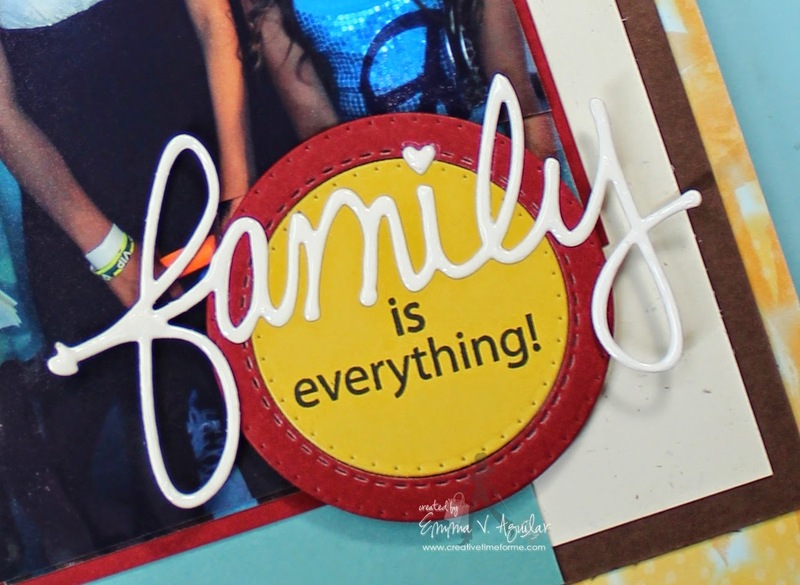 Oh I need to know what you die cut the word out in for Family!!! Miss Liz is awesome with her sketches!! The ladies ROCKED it today again! LOVE your smash page Emma! GREAT family picture!!!! !